The Port of Kalundborg has, during the past more than ten years, become a destination on the Baltic itinerary for several cruise lines. The central location in Denmark, and the short nine nm from the T-Route, the deep water route to the Baltic, has made Kalundborg the perfect location for cruises in the Baltic area, and the sailing time can be reduced by about 12 hours. Turn around calls – perfect for ships with a draft over 7.5 metre, and just 1 hour and 15 minutes drive from Kastrup Airport. Transit calls – a good opportunity to show your passengers the unique nature and many charming attractions in West Zealand. Transfer calls – offer your guests a trip to Copenhagen/ Roskilde or Odense while docked in Kalundborg. 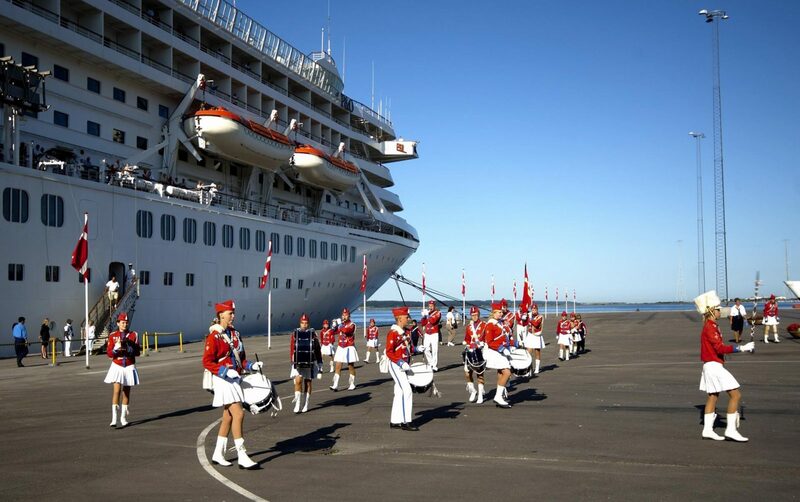 A cruise ship visit in Kalundborg is a mixture of activities and relaxation. We can offer a large variety of possibilities for how you can spend a day in Kalundborg. Welcome! Kalundborg has, during the recent years, developed into a regular destination for cruise ships. In the spring of 2007, Cruise Kalundborg was founded together with Kalundborg Municipality, Kalundborg Tourist Council, and the Port of Kalundborg as founding members. The Association’s goal is to market Kalundborg to the cruise lines with the intention of attracting cruise ships to Kalundborg, and to prepare Kalundborg for the calls.